First the body. No. First the place. No. First both. 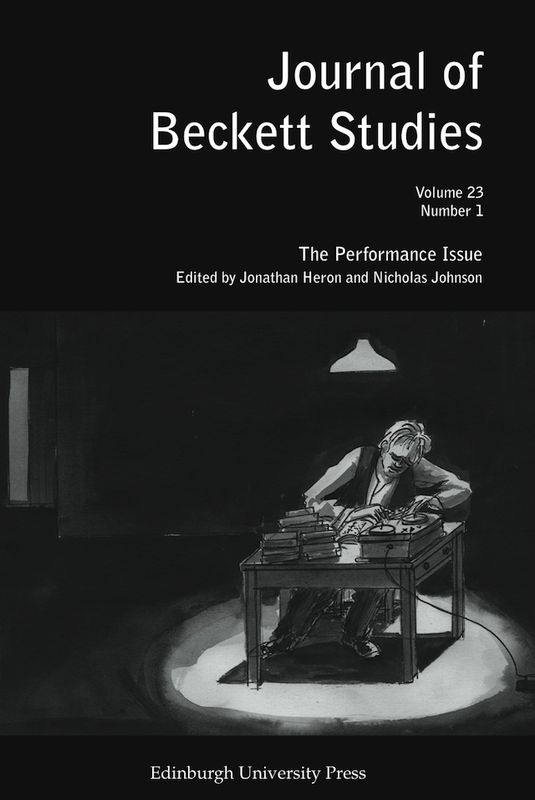 In April of 2014, Edinburgh University Press published a special issue of the Journal of Beckett Studies (23:1), ‘The Performance Issue’, which seeks to link the heritage of scholarship on Beckett and performance with current practices and methodologies. Noting the link between performance and associated discourses of phenomenology and embodiment, the edition attempts to treat performance as both an ‘issue’ subject to debate that has not been fully resolved, and an ‘issue’ in the sense of that which comes forth and flows out. 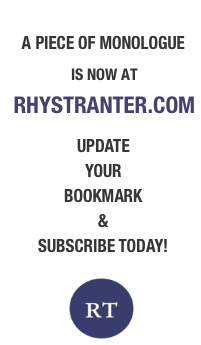 The edition explores the tension between ‘the archive and the repertoire’, as articulated by Diana Taylor in 2003, which continues to ghost our memories of Beckett in performance, and has withstood both the theoretical and materialist ‘turns’ of the field. In doing so, the co-editors have drawn upon recent work in Beckett Studies and Performance Studies, including Catherine Laws (2007), Tracy C. Davis (2008), Ulrika Maude (2009), Anna McMullan (2010), Baz Kershaw (2011) and Mark Fleishman (2012). Following an introduction provided by general editors Mark Nixon and Dirk Van Hulle, the contents of the special issue include the first article on Beckett performance histories by the team of the Staging Beckett AHRC-funded research project (Anna McMullan, Trish McTighe, David Pattie, and David Tucker), complemented by studies of Beckett and Performance Art (Derval Tubridy) and Beckett and New Musical Composition (Catherine Laws). The first results from the Samuel Beckett Laboratory, a performance-based workshop held as part of the annual Samuel Beckett Summer School and facilitated by Johnson and Heron, are published in the form of a “Dossier,” including contributions from directors Gavin Quinn and Sarah Jane Scaife, as well as Summer School participants Burç Îdem Dinçel and Áine Josephine Tyrrell. Directors Ian Rickson and Robert Wilson were interviewed specially for the edition, and artists featured in a new “Practitioners’ Voices” section include Rosemary Pountney, Rieko Suzuki, and Barry McGovern. Obituaries of Frederick Neumann and Herbert Blau follow. The edition concludes out with production reviews of Peter Stein’s 2012 Krapp’s Last Tape and Pan Pan’s 2013 Edinburgh productions of All That Fall and Embers, as well as book reviews focusing on Beckett’s televisual work and laughter in Beckett. A full table of contents is available online at [Journal of Beckett Studies]. Jonathan Heron, Artistic Director of Fail Better Productions and IATL Senior Teaching Fellow at University of Warwick, is a core member of AHRC Beckett and Brain Science and co-convenor of the IFTR Performance-as-Research Working Group. His writing has been published in Open-space Learning (Bloomsbury, 2011) and Performing Early Modern Drama Today (CUP, 2012). Nicholas Johnson is Assistant Professor of Drama at Trinity College Dublin and co-director of the Samuel Beckett Summer School, as well as a director and performer. His research has been published in The Plays of Samuel Beckett (Methuen, 2013), Theatre Research International, Forum Modernes Theater, the Journal of Art Historiography, and the Journal of Beckett Studies.